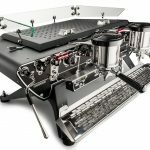 Named for Giovanna Bambi and designed with classic La Marzocco styling and spirit, the GB/5 combines harmonious aesthetics and powerful technological advancements with gracious lines and curves. 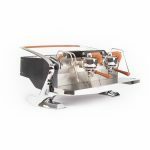 The GB/5 is an understated companion to any coffee bar, while its unmatched temperature stability provides steady brew water and steam even at the peak of the morning rush. 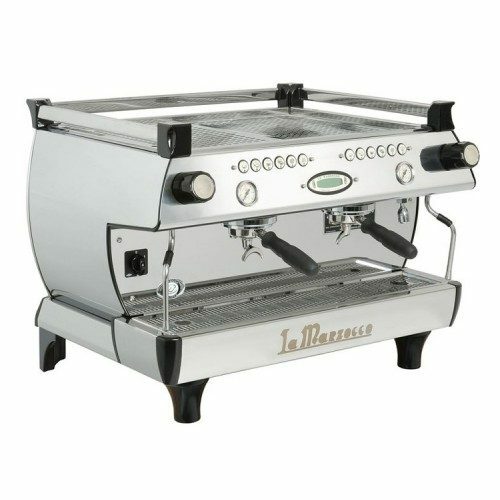 The La Marzocco GB/5 is available in 2, 3 and 4 group configuration and in automatic (AV) configuration. Semi-auto (EE) and mechanical paddle (MP) versions are available via special order with a lead time of up to 4 months. 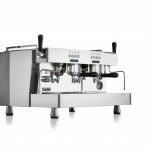 Dual Boiler System Separate boilers optimise espresso brewing and steam production. Digital DisplayIntuitive programming make it easy to adjust machine parameters. Hot Water Economiser Enables you to fine tune the tap water temperature for tea. Pre Heating SystemIncrease productivity by pre-heating incoming water into the coffee boiler. Portafilters & precision baskets Stainless steel portafilters and precision baskets improve your cup quality and consistency. Tall Cups Allows you to use the machine with tall, to-go cups (+2.5cm /1in. in height). 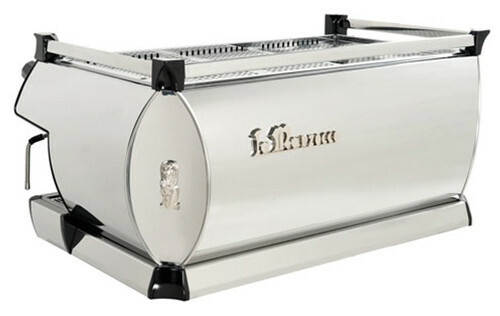 Cup Warmer Maintain espresso and cappuccino cups heated at a proper temperature. 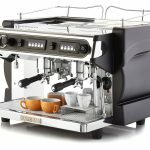 Barista Lights LED lighting allows you to focus on your extraction and the cup. High Legs Make it easier to access beneath the machine (+7.5cm / 3in. in height). Personalised Colour Customisable colours upon request (RAL required).